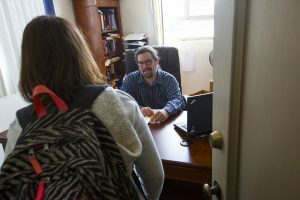 Founded in 1989, Beacon College was the first college in the country accredited to award bachelor degrees exclusively to students with learning disabilities, ADHD and other learning differences. The group of parents who conceived of Beacon College did so knowing that given the right environment, support, and tools, all students can succeed. The College is committed to student success, offering academic and personal support services that help each student achieve his or her goals. Set in the hometown environment of Leesburg, FL amidst beautiful lakes and close to area attractions, students are able to experience community living within easy reach of the resources they need to flourish academically, professionally, and socially. Beacon’s four-year graduation rate of 83.3% far surpasses the national average for students with learning disabilities, proving the effectiveness of the teaching model founded at the College. Every Beacon student leaves the College with stronger critical thinking skills and, due to a strong four year Career Development program, professional skills designed to help each student understand his or her specific skill set and goals. Career Development courses, along with professional internships, help insure each student embarks on the appropriate career path after leaving Beacon. The fact that 83.3% of graduating students either obtain a job or continue in their education after leaving Beacon demonstrates the success of this program. Beacon’s unique mission is gaining national attention, and the College has been featured recently in publications such as USA Today.  In 2013, Value Penguin identified Beacon as the best value amongst private colleges in Florida. 2014 saw the inauguration of our new college president, Dr. George Hagerty. Dr. Hagerty brings decades of experience to Beacon College as well as a commitment to student success. 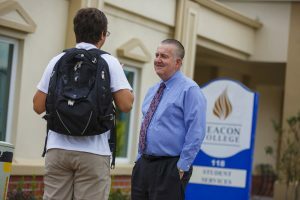 For more about Dr. Hagerty’s educational philosophy and his plans for Beacon College, visit the Office of the President. 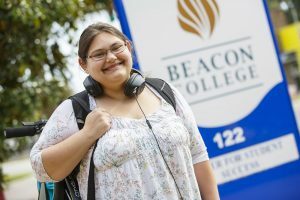 In 26 years of educating students with learning disabilities, ADHD, and other associated learning differences, Beacon College has remained true to the mission established in 1989 by its founders to improve higher education opportunities for students with learning disabilities and ADHD. By providing a supportive, resource-rich community with the necessary resources, Beacon enables students to excel academically, become more aware of their learning differences , and learn ways to thrive with them. Beacon College is truly a community that welcomes, accepts, and supports each member of it. The best way to understand what the College has to offer is to visit us.